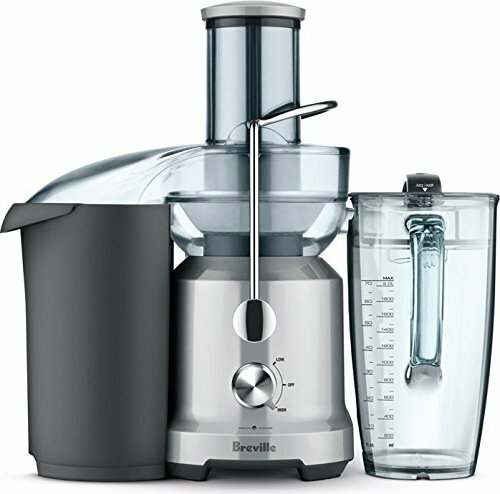 Breville Juice Fountain Cold with Cold Spin Technology allows juice to flow up and through the patent pending Elevated Juicing System. So instead of making just a small amount of juice, you can make up to 70 fl. oz. (2 liters) of juice at a time. The Seal and Store Juice jug can be stored directly in the door of your refrigerator and its sealed lid keeps juice fresher for longer. Juice can be kept fresh for up to 3 days in the refrigerator either in the juice jug or in small, single serve glass canning jars. When you juice more and store it, you can juice less often. 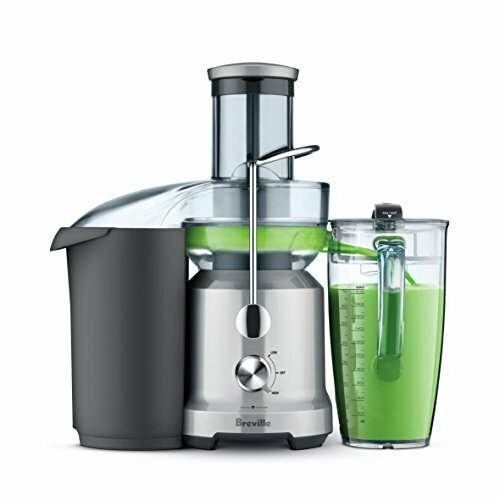 This saves time on prep and cleanup and makes drinking your daily glass of homemade juice exceptionally convenient. Allows juice to be filtered through a micro-mesh filter to ensure insignificant temperature transfer. Pulp Container Capacity: Extra Large capacity 3.6 qt. (3.4 L) pulp container. Juice Jug Capacity: Seal & Store 70 fl. oz. (2L) Juice Jug with froth separator. Feed Chute Size : Extra large 3" wide (7.6 cm) feed chute maximizes efficiency and cuts down prep time.